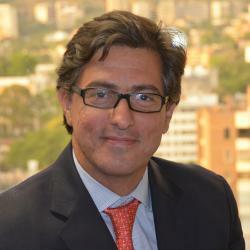 Daniel E. Ortega is Director of Impact Evaluation and Policy Learning at CAF – Development Bank of Latin America – and associate professor at IESA Business School. His research has been in the area of microeconomics of development, with a focus on social experimentation and impact evaluation of anti-crime interventions in Latin America, such as police training programs in Colombia and Argentina as well as two hotspots patrol experimental evaluations in Bogotá and Medellin. He is coordinator of CAF’s research program on citizen security and has recently led several experiments with tax authorities to evaluate strategies for increasing tax compliance. An overarching theme is the use of impact evaluation as a tool for public management, which can help public institutions transform their policy experience into a lasting knowledge footprint. His research has been published in several peer reviewed scholarly journals. He holds a PhD in Economics from the University of Maryland.